Governors for The Royal Bournemouth and Christchurch Hospitals NHS Foundation Trust are hosting an engagement event on Tuesday 3 October. The event will focus on the changes we have made to improve the quality of care we provide to patients and will include an open question time, as well as an update on the results of the Clinical Services Review, which has recommended the Royal Bournemouth Hospital becomes the major emergency site for east Dorset. It will be led by Tony Spotswood, Chief Executive, and Deborah Matthews, Director of Improvement and will take place in the Strouden Park Community Centre from 2.30-4pm. £26 million programme of investment due to start at Dorset’s largest covered retail destination. Planning permission is being sought to redevelop the former Argos store and adjoining units into a new-build cinema complex, complete with four casual dining restaurants. Due to open at the end of 2018, the scheme, at the heart of the shopping centre, will help generate more vibrancy and appeal for the town centre as a whole. Legal & General bought the largest covered shopping centre in Dorset in 2013 and is working on an 18-month improvement programme that will be completed at the end of 2018. 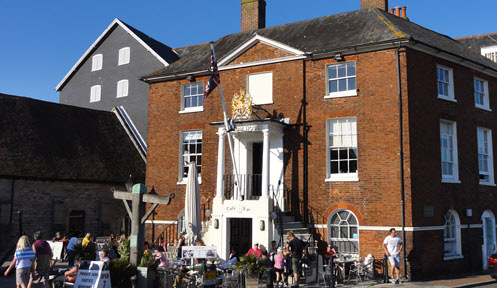 It recently reached agreement with the Borough of Poole to restructure the existing headlease arrangements into a single, longer lease, unlocking a £26 million programme of investment. The improvement programme will focus on an internal mall refresh, as well as improvements to the open-air Falkland Square and Kingland Crescent including work to the public realm and eye-catching shop facades. The Dolphin Shopping Centre in Poole is continuing its support of Lewis-Manning Hospice by donating floating candles to a fundraising event at the end of the month. ‘Time to Remember Walk’ takes place on Saturday September 30 at Poole Park, organised by Lewis-Manning Hospice and supported by the Dolphin Shopping Centre. 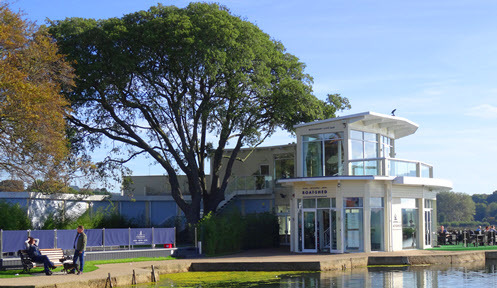 The event will start with a gentle walk around the boating lake and end with the opportunity to light a floating candle and sail it out onto the boating lake. The shopping centre nominated the hospice as its charity of the year in January, in addition to supporting Chestnut Nursery, the centre’s other nominated charity for 2017. John Grinnell, centre manager at the Dolphin Shopping Centre, said: “As the centre is such a prominent part of Poole, we relish any opportunity to give back to the public. Lewis-Manning Hospice does amazing work locally and we are pleased to be able to support them. The walk will begin promptly at 6.30pm at Poole Park’s boating lake. The event costs £16 per person, £20 per couple and £26 per family. All funds raised will provide valuable support to Lewis-Manning Hospice, a charity that provides day care and end of life care to around 900 local people each year living with cancer and other life-limiting illnesses in East Dorset. Family friendly restaurant Delfino Lounge is now open at Poole’s Dolphin Shopping Centre in Falkland Square next to Mexigo. This is the sixth Loungers’ restaurant to open in the local area and will be a welcome addition to the existing food and beverage offering at the centre. The menu has a wide range of dishes including burgers, tapas, cakes and a more ‘restaurant in-style specials’ as well as an extensive range of coffees and teas, cocktails and beers. The restaurant offers a relaxing environment with a variety of board games, complimentary Wi-Fi and a free book swap on hand for customers to indulge in entertainment. Commenting on the opening, John Grinnell, centre manager at the Dolphin Shopping Centre said: “We’ve all been waiting in anticipation for Delfino Lounge to open, it is no doubt going to be a fantastic addition to our offering here at the centre and Falkland Square. An investment of this kind from a recognised brand speaks volumes to the future development of the centre and area. Superior, a leading manufacturer based in Dorset, is sponsoring The Extra Mile, a new fundraising concept for Julia’s House. The Extra Mile encourages children in local schools to run, skip or hop a mile to raise funds for their school and also for Julia’s House, the Dorset and Wiltshire children’s hospice charity which supports life-limited children and their families. Schools taking part in The Extra Mile will encourage children to complete their mile on a specific date and time. Classes can compete against each other to raise the most sponsorship. Money raised is split 50/50 between the school and Julia’s House. Schools can use the money raised to fund additional materials, trips or valuable equipment and resources. Participating schools will receive sponsorship forms, a bespoke medal for each child and a trophy for the class that raises the most money. Superior will host its own ‘Apprentice Extra Mile Marathon’ on Saturday March 18 to run in conjunction with The Extra Mile. The manufacturing company will be marking out a mile circuit in its factory car park, encouraging apprentices to run the circuit until 26 miles have been run in a relay style, raising funds for Julia’s House. Superior has its own company-run Academy, offering apprenticeships to students from as young as 16, through to graduates, giving apprentices the chance to learn about engineering, science and manufacturing. Working closely in conjunction with local schools and colleges, Superior's aim is to get students of all ages interested in science and engineering. Last year saw the Dolphin Shopping Centre planting a solid foundation for its green plans, and the team working at the centre has further aims to develop its sustainability for 2017. In 2016, the Centre created a unique garden on the Dolphin’s roof top. This included special flower beds to encourage the growth of vegetables and herbs. They also had the special addition of a bee hive – to create the centre’s very own pots of honey. In 2016, the Dolphin Shopping Centre was acknowledged for its work towards becoming a sustainable centre when it was awarded a prestigious Green Apple Award. John Grinnell, centre manager, commented: “Being an environmentally sustainable shopping centre is hugely important for us – we’ve spent years dedicating our time to developing specific areas and winning the Green Apple was a fantastic achievement. Other plans at the centre include the introduction of a ‘living wall’ – walled areas which contain plants and herbs to bring more greenery to the area. John added: “By introducing living walls around the centre and Falkland Square, we hope to make the most of our space and make it a more pleasant experience for our shoppers while being environmentally conscious. Taste of the South – A brand new festival coming to Poole, Dorset this May! Taste of the South is a brand new local food, drink and produce festival coming to Dorset this May and has been created in association with the week-long Poole Maritime Festival 15th-21st May. This year Poole will be hosting an array of events, including the annual Poole Harbour Boat Show to celebrate the European Maritime Day Conference coming to the UK for the first time EVER. 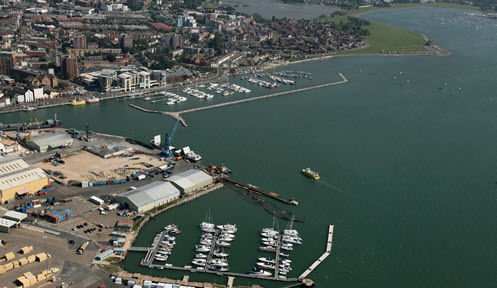 Poole Maritime Festival is estimated to attract 48,000 visitors and will generate an increased footfall to the town and the surrounding area as a part of the European delegation, as well as the local community. "This is an opportunity to really put Poole on the map in Europe and showcase what a great place it is” Says Conservative MEP Julie Girling, who represents South-West England. Taste of the South is set to become a yearly fixture in the Dorset event diary and is an innovative and exciting environment for exhibitors from across the South of England to showcase their products in a pop up setting right in the heart of Poole and close to the South’s award-winning beaches. The festival will run from 19th- 21st May and will operate from Friday 12pm – 6pm, on the Saturday 10am - 6pm and Sunday from 10am – 5pm. Trader pitches are expected to fill the area of Poole Park to full capacity in the first year, and the organisers are offering a range of options and prices for exhibitors over the 3 days which includes the use of electric, waste disposal and car parking, as well as a chance to get involved with chef demonstrations and tastings in the pop-up demonstration kitchen. There is also a limited option for brand new start-up businesses of less than a year old to receive a discounted rate. Situated close to the centre of Poole, the Poole Park recreation ground is within easy reach of the bus and train stations and there are car parks nearby – this is the perfect setting to showcase the South’s finest. There will also be performances and activities from local entertainers and performers destined to create great atmosphere for all. Alongside the festival marketing and PR campaign, Borough of Poole Council has a dedicated Communications team working hard to publicise Taste of the South in all of their extensive promotions campaigns, including the Borough News that reaches every household in the Borough, which is a population of 125K. Taste of the South – a showcase of the South of England, a great place to shop, eat, drink, relax and the place to do business and to trade. Visit Dorset, a tourism partnership of Dorset local authorities with support from more than 600 local tourism businesses, has launched its re-developed website with an exclusive event at Athelhampton House near Dorchester. Visit-dorset.com is the official tourism website for Dorset and currently receives 2 million visits each year. 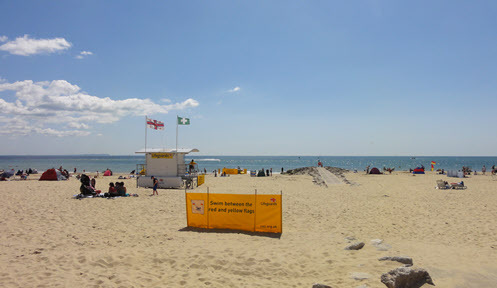 Initially launched in 2009, visit-dorset.com is now a recognised and well established site offering support for Dorset’s tourism businesses whilst providing visitors to the site with all the necessary tools to easily plan and book their visit to Dorset. The re-developed website is now fully responsive with a contemporary look and feel, incorporating all the latest functionality and providing an innovative, promotional platform to showcase Dorset’s fantastic and varied tourism offer. The Visit Dorset team will continue to work with global new-media specialists, NewMind|tellUs, who look after more than 100 tourism destination clients, on a phased programme of development to build on the significant success of visit-dorset.com. Nick Thornley, on behalf of the Visit Dorset Tourism Partnership said: “We’re pleased to launch our re-developed visit-dorset.com website, helping local Dorset tourism businesses to stay at the forefront of new technology. Through events like this and our continued work with external specialists our aim is to invest in the future of the Dorset tourism economy to support local tourism businesses to grow”. To celebrate the re-launch of www.visit-dorset.com, an event for local tourism businesses was hosted at Athelhampton House with a series of dynamic industry leading speakers taking part in an ‘on the sofa’ debate on the impact digital innovation and marketing can have on a tourism business in Dorset. A cream tea reception was provided by Athelhampton House and Dorset Tea, with welcome sparkling wine provided by Langham Wine Estate in Dorset at this invite-only event. Nigel Barker, international trade digital marketing adviser for Department of International Trade in the South West and facilitator for the event, said “Dorset is in a really strong position right now. Holidays in the UK are very attractive due to exchange rates and the county has so much to offer holiday makers. “The digital arena has revolutionised the way that consumers make holiday decisions and we have seen a significant move towards ‘self-researched’ travel. The Visit Dorset Tourism Partnership is made up of the local authorities of West Dorset, North Dorset, Purbeck and East Dorset District Councils, and Weymouth and Portland and Christchurch Borough Councils. Diners at Loch Fyne Seafood & Grill can celebrate Burns Night in true Scottish style with a traditional piper, Glenfiddich whisky and special Irn-Bru cocktails. The Poole restaurant is offering a mouth-watering Burns Night menu of three courses and a dram of Glenfiddich 15-year-old single malt Scotch whisky for just £24.95 on Wednesday, 25 January. In addition, the restaurant has created two Irn-Bru cocktails, available for the one night only, for those wishing to immerse themselves in all things Scottish. The restaurant will celebrate the poet Robert Burns’ contribution to Scottish culture with delicious Scottish dishes including arbroath smokie remoulade, haggis, neeps and tatties in a rich whisky sauce, clootie dumpling and a cranachan crème brûlée. The traditional Scottish piper will entertain diners by playing as haggis is bought to the table. The piper will then recite Robert Burns’ “Address to a Haggis” poem before the theatrical cutting of the haggis with a ceremonial knife. Burns Night is the traditional celebration of Scotland’s national bard, Robert Burns, held on his birthday each year. Liz Williams, director and general manager at Loch Fyne Seafood & Grill, said: “Drawing on our Scottish roots, Loch Fyne restaurants is offering diners a traditional Scottish Burns night experience south of the border. “Our menu is a celebration of traditional Scottish fare to be enjoyed with a taster of Glenfiddich 15 and traditional Scottish pipes. A traditional Burns Night celebration usually involves a supper, which can range from a small informal gathering to a huge formal dinner. A piper or traditional Scottish music will welcome in the guests. This music will continue until the high table is ready to be seated, at which point there is a round of applause. The host will welcome guests. The haggis then bought out, accompanied by the piper playing. A whisky-bearer should also arrive to ensure everyone has a dram ready for the toast. A reader recites the Robert Burns poem, “Address to a Haggis” which is followed by a toast to the haggis. Cheeseboard with bannocks (oatcakes) and tea/coffee. Ale and wine accompany the meal, followed by whisky. Dinner is followed by entertainment in the form of a speech on the life of Robert Burns and a number of Burns songs. The evening ends with a ‘toast to the lassies’, using a selected quote from Burns’s work. This is then followed by a reply to the ‘toast to the lassies’ before everyone rolls home. THE owner of Poole Park’s miniature railway, Chris Bullen, says he is “devastated” that the attraction will be closed while Poole council invites new operators to take over the business. In less than two months’ time, the railway track will be dismantled in preparation for a tendering process for the contract to begin. The current owner aims to be among those bidding for the railway, which will have to be rebuilt to current health and safety requirements when it re-opens. CBeebies megastar Justin Fletcher will be tumbling into Lighthouse, Poole’s Centre for the Arts on 14 January to help Stagewise School for the Performing Arts host an open day of free workshops for children aged 4 – 14. Justin, best known for playing CBeebies favourite Mr Tumble, will be on hand as a special guest and Patron of Stagewise to welcome new pupils to the school. Stagewise has been nurturing and developing talent and helping young performers follow their dreams since principal Ally Cox launched the school in 2000. Children participating in the open day will have the opportunity to experience three more free workshops with Stagewise. Those aged 4-6 will be welcomed into Sparkle and Shine – a fun-packed 90 minutes of drama, games, poems, singing and movement to encourage and develop imagination and play, while children between the ages of 7 and 14 can attend 3-hour Stagewise experience workshops to develop the essential skills of acting, singing and dance required for performing arts. Justin Fletcher’s TV credits include CITV’s Fun Song Factory and CBeebies Tikkabilla, Spring Watch, Gigglebiz, Justin’s House and the award-winning Something Special. As a voiceover artists he has created some of the best-loved characters on children’s television, including Jake and Doodles in The Tweenies, Growling Tiger/Sleeping Bear in Boo!, Miguel in Finley the Fire Engine, Jim Jam and Slim the Giraffe in Jim Jam, Sonny and Chubba in BB3B and evenShaun the Sheep in the movie of the same name. He was awarded the MBE in the Queen’s 2008 Birthday Honours for Services to Children’s Broadcasting and his charity work. He also received a BAFTA for Best Presenter in 2008, 2010 and 2012. Justin has just finished playing the role of Mr Perks in The Railway Children at King’s Cross Theatre. Staff at Quay Foyer in Hill Street, Poole are appealing to members of the community to help bring a little festive cheer to homeless and vulnerable young people staying at the shelter this Christmas. The Foyer has set up an Amazon wish-list of much-needed items which can be purchased online and sent directly to the shelter at the touch of a button. Operated by social and supported housing provider Stonewater, the Quay Foyer at 20 Hill Street, houses local young people aged 16 – 25, who often arrive with very few personal possessions, many having fled from desperate and bleak situations. Christmas can be a very lonely and difficult time of year for young people separated from their friends, family and home,” says Foyer Manager Chris Shaw. “Our wish-list gift scheme gives you the chance to send a personal gift to a young person in crisis who will be spending Christmas in our Foyer this year. The list includes gifts ranging from essential toiletries and warm clothing, to special treats like books and chocolates. Each is listed on our Amazon wish-list with a short description, explaining exactly why it is needed and who will benefit. The Quay Foyer provides accommodation, training and support to young people in the local area with the aim of helping them to eventually live independently. Foyer staff work throughout the festive season to provide a Christmas meal for residents and to ensure that they have the support they need to make it through what can be a challenging time of year for many. Stonewater owns and operates foyers and two women’s refuges across the South of England. Poole Harbour Boat Show is to be showcased on national TV this coming Thursday November 17, when an episode of The Apprentice features teams going head to head to achieve the highest sales of boats and equipment. The 2016 show held on Poole Quay and Poole Quay Boat Haven enjoyed a visit from the Apprentice contestants for one of the event days, who were then given tasks to sell from exhibitors’ stands. Despite wet weather, the teams battled it out in the marina, chatted to show visitors and secured deals on marine-related products. Jim Stewart, chief executive of Poole Harbour Commissioners, who organise the annual Poole Harbour Boat Show, says: “We knew for many months beforehand that The Apprentice was due to film at the show, but of course it was all kept under wraps. It is going to be exciting to see the results of their time with us aired on Thursday and for the UK to see what a fantastic boat show Poole has now established. With support from Poole’s Dolphin Shopping Centre, local charity Waggy Tails Rescue has launched its first ever calendar. The shopping centre nominated the Dorset and Hampshire animal rehoming organisation as its charity of the year for 2016 and donated the funds required to produce the calendar. The calendars, which include professional images of their rescues, are available to buy at Calendar Club and other outlets at the Dolphin Shopping Centre, as well as directly from the charity. The calendars are £5 each, with all profits going directly back to the charity. Volunteers from Waggy Tails will be joined by members of Wessex Entertainers to form a Choir which will be performing Christmas carols at the centre on the Thursday December 8 and Sunday December 18. A care home in Poole is inviting local people to a free event on Tuesday 29th November to find out more about preventing falls among older people. From 10am-12pm, the Care UK team at The Potteries is welcoming a host of experts to the home on York Road to give practical advice on preventing falls. Dorset Fire and Rescue, Safe Independent Living (SAIL), Public Health Dorset and Sloppy Slippers, will lead discussions on the common causes of slips and trips, and offer guidance on how to create safer environments for older people, together with activities and exercises to improve balance and reduce the risk of falls. After the event, the experts will be on hand to answer any questions, and all guests will be encouraged to bin their 'sloppy slippers' in return for a new, free pair. There will also be an opportunity for members of the public to meet the team at The Potteries and take a tour of the care home. Zita Turner, home manager at The Potteries, said: â€œHere at The Potteries, we seek to provide in-depth advice to people in the local community on topics relating to our work. Falls prevention is very important to the team here, and to the wellbeing of the residents, as accidental falls can occasionally lead to further health issues. "It is imperative we create a safe environment for older people in the community and ensure the correct safety procedures are in place to prevent accidents." The Potteries is a state-of-the-art care home which provides full time residential, nursing and dementia care, as well as short term respite care. Designed to enable residents to live enjoyable and fulfilling lives, the care home has its very own cinema and hairdressers, and there is plenty of space both indoors and out for relaxation and recreation. For further information on The Potteries or to book your free place at the event, please call customer relations manager, Helen Stevens, on 01202 069 835 or email Helen.stevens2@careuk.com . Francesco Group’s Poole Academy will be bathed in purple light in aid of pancreatic cancer awareness. Award winning salon group, Francesco Group, along with many other organisations across the UK are uniting as part of the Purple Lights for pancreatic cancer campaign to show support for people with pancreatic cancer and to remember those who have sadly died of the disease, whilst also raising awareness of a disease that suffers from a chronic lack of awareness and funding. Purple Lights for pancreatic cancer is supported by charities Pancreatic Cancer Action, Pancreatic Cancer UK, Pancreatic Cancer Scotland, Operation Henry and CORE. The campaign calls on focal points in villages, towns and cities to light up purple in November, which is Pancreatic Cancer Awareness Month. Over 9000 people are diagnosed with pancreatic cancer each year. Sadly, only 5% of those diagnosed with pancreatic cancer survive five years or more, and despite being the UK’s fifth biggest cancer killer, the disease receives just 1.6% of UK cancer research funding. 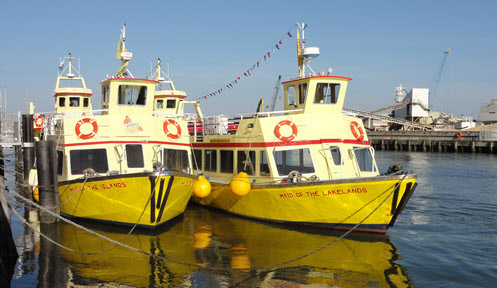 Committed to ensuring the safety of all personnel, Poole Harbour Commissioners (PHC) has invested in a state-of-the-art pilot vessel. Many PHC personnel are required to work in harsh conditions to maintain a 24-hour, 365 day, pilotage service ensuring the safety of navigation of commercial shipping transiting the main channels in Poole Harbour. PHC has procured the new pilot vessel ‘Barracuda’ to replace its 40 year old Nelson 42 vessel called ‘Vandyke’ and it will be operating in the harbour before the end of the year. The new 12 metre pilot vessel will also provide a quick response, when required, for byelaw enforcement and incident investigation. Jim Stewart, chief executive of Poole Harbour Commissioners, says: “Barracuda is scheduled to be launched in to Poole Harbour, later this year, following a thorough inspection and sea trials. The new vessel will operate, at times, in poor conditions to ensure the safety of our pilots and crew, maintaining this vital, all yaer round service. The stars of Aladdin came together to launch this year’s magical Lighthouse pantomime – and got an exclusive glimpse of the soon-to-reopen arts centre following its £5.3 million refurbishment. Led by actor and former Blue Peter presenter Peter Duncan (who writes the panto, produces it with Lighthouse and directs and stars as Abanazar), the cast were able to view the final stages of construction work and meet the team of hardworking builders from Poole-based construction company Stepnells, which has been on-site since May. Joining Peter Duncan were Waterloo Road’s Max Bowden (Aladdin), Sapphire Elia from Emmerdale as the Princess, panto dame Adam Price as the colourful and flamboyant Widow Twankey, Miguel Angel as a rock-god inspired Genie and Laura Curnick. A story of adventure and love where the time travelling hero and his wicked Uncle Abanazar battle in pursuit of a lamp of extraordinary powers, Aladdin features the circus of modern day China and a magic carpet ride across the ancient earth. With lively music, great dancing, wonderful set pieces and audience interaction for all ages, Aladdin is set to make wishes come true this Christmas. Aladdin enjoys a five-week run at Lighthouse from Wednesday 7 December 2016 to Sunday 8 January 2017. Tickets are on sale from Lighthouse now – book over the counter, online at www.lighthousepoole.co.uk or call 01202 28 00 00. Community-minded companies joined forces to kick start a brand new Rotary group at The Plantation in Canford Cliffs on Thursday 6th October. The innovative Breakfast Networking Group is the brainchild of Poole Bay Rotary. Their traditional Tuesday evening meetings will still operate alongside the new group which has gone back to Rotary’s origins. These incorporate elements of business networking, sitting alongside the Rotary ethic of “service above self” washed down with a cuppa and a breakfast sandwich, as well as the chance to do business and give back something to the community with like-minded people. Eddie Newcomb, President of Poole Bay Rotary says, “This is a fresh approach aimed at professionals who alongside their business want to network and create lasting friendships, whilst having the chance to put something back into the community. Budding young performers will have the opportunity to audition for Aladdin, this year’s magical family pantomime at Lighthouse, Poole’s Centre for the Arts. Auditions, which take place at the Jellicoe Theatre in Poole on Friday 23 September, will be led by former Blue Peter presenter Peter Duncan, whose company Duncan Reeves Productions co-produces this year’s show with Lighthouse. The one-and-a-half hour workshop-style auditions will be split into three short sessions covering acting, singing and dancing with a workshop for 8-11 year-olds commencing at 4pm and 12-17 year-olds at 6pm. Two security team employees at the Dolphin Shopping Centre, Poole, have conquered the clippers and had their heads shaved in support of Macmillan’s Brave the Shave campaign. James King and Norman Hawkins visited Toni & Guy in Kingland Crescent to brave the shave and stand proudly alongside men, women and children with cancer, raising more than £300 to date. Broadstone-based luxury care home The Links, is hosting a summer fete on Wednesday August 31 in the grounds of the home. Open to the public, the fete takes place from 2.30pm to 4.30pm and includes a range of family friendly games, visiting alpacas and a cake stall.